Last year Washington County libraries were asked to take down LGBTQIA displays for Pride Month, replacing them this year with exhibits featuring the more generic “Diversity” theme. 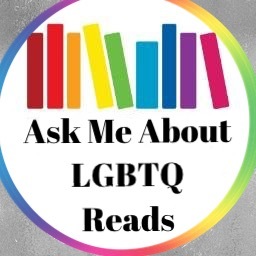 But when the librarians felt like they should do more to represent Pride, and made buttons reading “Ask me about LGBTQ reads” they were once again met with opposition from within the library system. Ammon Treasure, a library staff member, reached out to The Spectrum & Daily News about the incident. But this logic is obviously flawed. LGBTQIA people are not a public figure whose merits can be debated, they are a protected group in the community. This is more akin to taking down the Black History Month display in February because there are vocal racists in the community. Even if people are prejudice, doesn’t mean there’s a legitimate argument against celebrating the cultural contributions of a segment of society. James LaRue, Director of the American Library Association’s Office for Intellectual Freedom, stands with the librarians in Washington County, Utah. “Rather than try to avoid controversy I think we should try to embrace it and say this is what our community is talking about, these are the people in our community … and we should be proud of that,” said LaRue. “Everyone should have a place at the table. And so for many communities, particularly the rural communities in America, the library is the table. It’s the common ground where all are welcome. And to do that you can’t censor some voices. Everybody gets a seat at the table,” said LaRue at a forum hosted by Equality Now Utah. But whether people believe in a biological or a social origin of sexual orientation, the existence of the LGBTQIA community cannot be debated. And with that being an agreed upon fact, the belief that all people deserve respect, and all people deserve representation within their own communities, must certainly be seen as a right as well. Writing this off as avoiding taking sides with people’s personal philosophies, bolsters the pervasive falsehood that acknowledging the existence of those whom some choose to be prejudiced against, is tantamount to indoctrination. And in that regard, the refusal to put up the displays is taking a side. It’s taking the wrong one.